We are a full-service South Carolina roofing contractor with thousands of successful residential and commercial projects to our credit. 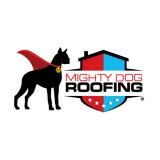 Roof Roof’s customer service and exceptional workmanship are unmatched, resulting in our reputation as the premier roofer in Spartanburg, Greenville, Anderson, and many other communities in upstate South Carolina. 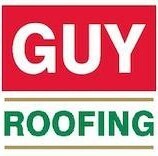 Are you looking for a qualified and reliable roofing contractor? Are you sick and tired of companies that are trying to scam you? Well, you have come to the right place. Our experienced and skilled team provides Easley, SC and the surrounding areas with a wide range of gutter, roofing, solar and siding services. At Precision Roofing LLC, we are dedicated to providing our valued clients with the affordable and efficient solutions they need, along with the superior customer care they deserve. We have been catering to the roofing service needs of local residential and commercial property owners for more than 15 years. Once you experience the numerous benefits of our top quality services, you will quickly realize that our contractors are the right choice for all your roofing projects. Our goal is to offer the finest roof repair and maintenance service to all our clients, achieving lasting success through unwavering commitment to customer satisfaction and an understanding of our clients’ requirements and needs. Precision Roofing, LLC‘s technicians are professionally trained, experienced, and take great pride in catering to the roofing needs of the local community. We are well-known for our impeccable craftsmanship, and you can have peace of mind knowing that your project will be completed right the first time. Let the most trusted and qualified roofer in Easley, SC lend you a helping hand with your project. To find out more about our company and the benefits of using our timely and professional services, get in touch with us today. You will be very fortunate to have our knowledgeable, friendly, and skilled contractors take care of your needs. Call us today! DLV Roofing Systems, Inc., is the premier roofing company for Asheville, NC, and its surrounding areas. Our President, Pete De La Vega, a third generation roofer, established DLV Roofing Systems, Inc. in 1999. We are a fully licensed and insured general contractor happily serving both residential and commercial customers out of our Fletcher, NC, and Charleston, SC, offices. We use only top-rated, premium, quality products while offering competitive prices and a guarantee on all of the work. Our courteous, professional staff provides superior, dependable service with an attention to detail that sets us apart from industry affiliates. DLV roofs over 500 homes each year in Asheville and the surrounding areas. Whatever the material, we have got you and your roof covered. Quality begins at the top and it is our commitment to offer nothing but high-quality work and service to our customers. Your home is one of the largest investments you will typically make in your lifetime. We value our role in protecting your investment now and for generations to come. Discover why DLV Roofing is the best choice for your Asheville roofing needs. Call or email us today for a free estimate! 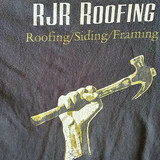 Family owned and operated roofing company. With more than 25 years in the construction industry, Jerry is well qualified and experienced and he always supervises every job. Our goal is 100% customer satisfaction and we strive to make your roofing experience easy and affordable. In business for more than 15 years, Roman's Roofing provides reliable roofing installations and inspections in Western North Carolina, serving the communities of Jackson, Macon and Transylvania counties. We know the characteristics of a roof are dependent upon the purpose of the building that it covers, the available roofing materials and the local traditions of construction and wider concepts of architectural design in our area. Inspection We offer a full 25-point roof inspection that covers the current state of all aspects, including gutters, valleys, ridges, vents, missing or damaged shingles and more. Installation Each type and material of roofing requires an understanding of its particular application to ensure installation is complete, accurate and up to code. All Roman's Roofing projects are to manufacturer specification and in compliance with all local building codes. Click through for more information on the installation process of each of the roofing types we install: Asphalt, Cedar Shake, Flat, Metal, Shake. Repairs & Re-Roofing For roofing repairs, we offer free estimates and consultations with photos documenting the current state and problem areas of the roof as it exists at the time of inspection. We are a small company founded with the concept of complete customer satisfaction at our core. Due to our size we are able to provide very personalized services to each one of our clients. All of our projects are executed with care and completed efficiently. Apex Construction combines talent, experience and locally-owned Southern friendliness. Apex Construction's owner is a licensed residential builder and also insured and bonded for repairs due to water damage, wind damage, hail or related storm damage. Your roof, siding, or gutter replacement and any other general construction experience with Apex Construction will make you confident that you can refer us to your friends and colleagues. Our inspectors will give you an honest estimate regarding the work that will need to be completed for your home. Your project will also be assigned to a project manager that will oversee all the work to its completion and your satisfaction. We offer a wide range of shingle choices, utilizing all major brands including GAF-ELK, Certainteed, Pinnacle, and Owens Corning . Contact Us today for your new construction, re-roof, or storm and water mitigation and restoration projects! Our business is here to serve customers no matter how big or small the job is, at any time and anywhere. We are a licensed, bonded and insured residential roofing company that proudly services the Upstate of SC and surrounding areas. 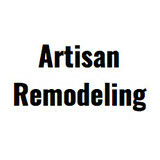 We strive to put our consumers first and provide quality workmanship. We provide a 5 year workmanship warranty and a manufacturer's warranty with all roof replacements. Beemer Kangaroof is a full service residential roofing company serving the Greater Greenville, SC area. Roof Inspection, Roof Repair, New Roofing Installation, Roof Maintenance Plans and Gutter Cleaning and Installation. Check out our awesome reviews from our awesome customers on Homeadvisor( <a rel="nofollow" target="_blank" href="https://tinyurl.com/y93aypwv">https://tinyurl.com/y93aypwv</a>) and on Angies List( <a rel="nofollow" target="_blank" href="https://tinyurl.com/y886ht65">https://tinyurl.com/y886ht65</a>)!! Quantum Roofing was founded off of a desire to provide more. With so many contractors interested in doing whatever it takes to just "get the job", Quantum Roofing takes a different approach. We focus on doing what we say were going to do in a timely manner, with exceptional customer service and second-to-none craftsmanship. Quantum Roofing believes that if you focus on the people and the quality, then the numbers will follow. With HAAG certified hail/wind inspectors and a vast knowledge of the insurance industry, we can even handle your insurance restoration project. Whether you have a residential or commercial roof give us a call today to experience the best roofing company in the industry. CS stands for Precision Contractor Services, a roofing contractor in Simpsonville SC. Precision is at the heart of everything we do. Our team knows that every job is unique and deserves an individualized and detail-oriented approach. We handle everything from new roofing installations, roof replacements and minor repairs. Address: 188 Continuum Drive, Fletcher, North Carolina, 28732 Baker Roofing Company offers roofing construction and repairs, as well as window replacements, gutters, and more. Since 1915, we have served homes and businesses throughout the southeastern United States. What do roofing companies in Greenville, SC do? Your Greenville, SC roofing contractor can install a new roof or repair an old one, as well as repair and replace gutters. Good roofers in Greenville, SC should be able to promptly inspect roofs and gutters to assess damage after a natural disaster or other event, and give you an estimate for the necessary roof repair immediately. Some Greenville roofing companies specialize in specific types of roofs, such as tile or metal, so make sure the one you are interested in works with the materials you have or desire. Find a Greenville roofer on Houzz. Narrow your search in the Professionals section of the website to roofing companies in Greenville, SC. If you’re planning a large-scale project, find other professionals on Houzz who can help get the job done. Here are some related professionals and vendors to complement the work of roofing & gutters: General Contractors, Specialty Contractors, Siding & Exteriors, Door Sales & Installation, Garage Door Sales & Installation.